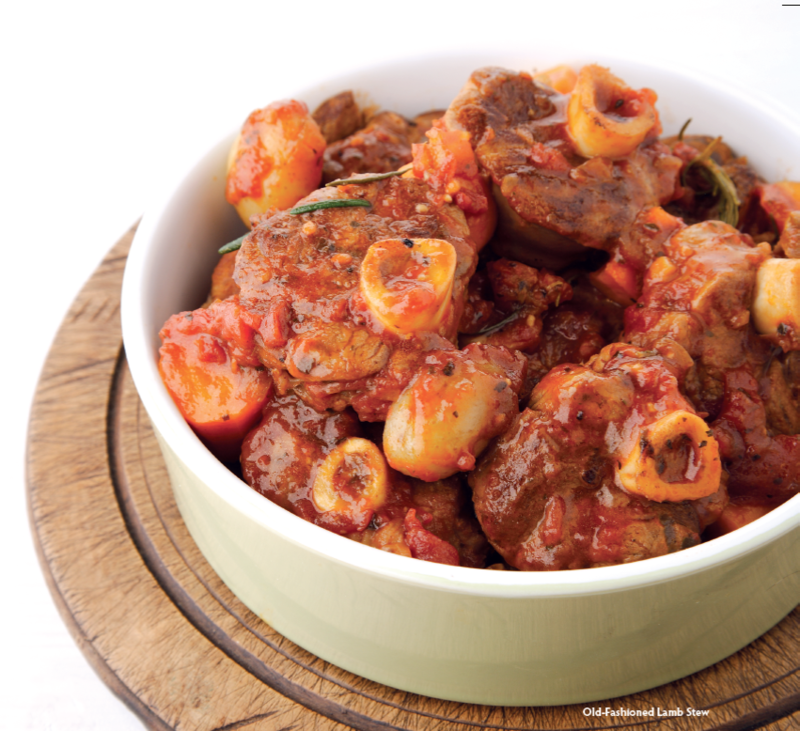 A really hearty lamb stew, this recipe can be cooked for hours until the meat is very soft. It makes a great winter dish. Fry onion in olive oil until golden and brown. Remove with a slotted spoon and set aside. In the same oil, brown meat, which has been seasoned with salt and pepper on both sides until very brown. Do not overcrowd your pot. Return onions to pot when all the meat has been browned. Add tomatoes, beef stock, oregano, basil and sugar. Allow to simmer for at least 2-3 hours, covered or until meat is very soft. Only season with salt and pepper at the end of the cooking time. If liquid is not thick enough, increase the heat slightly and reduce, uncovered, to thicken the sauce. Only add vegetables after 2 hours of cooking or ¾ hr before serving or they fall to pieces. Vegetables to add: Sliced carrots – boiled until just soft; quartered potatoes – cooked in water for about 15-20 minutes; peas and button mushrooms. CHEF’S TIP: This freezes very well, but exclude the potatoes.